Avda. Eduardo Dato, 49, 41018 Sevilla, Spanien. 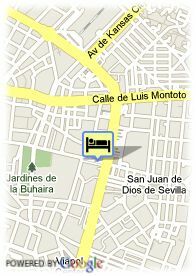 Hotel Hesperia Sevilla is located in a modern district close to the historic sights and Parque de Maria Luisa. Easy access to the airport and city' exits. This hotel offers 242 well-equipped rooms with television, phone, air-conditioning and bathroom. 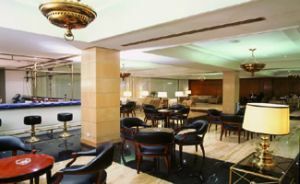 Hotel facilities: restaurant, coffeebar, meeting rooms and car parking. Bezahltes überdachter Parkplätze beim Hotel (15.00 €), Bus Parkplätz. in der Nähe der Altstadt. ältere Kinder und Erwachsene: 40.66 € pro zusätzliches Bett.